I have a thing for candied popcorn and I’m constantly trying new versions like my Oreo Cookie Popcorn or Snickers Popcorn. 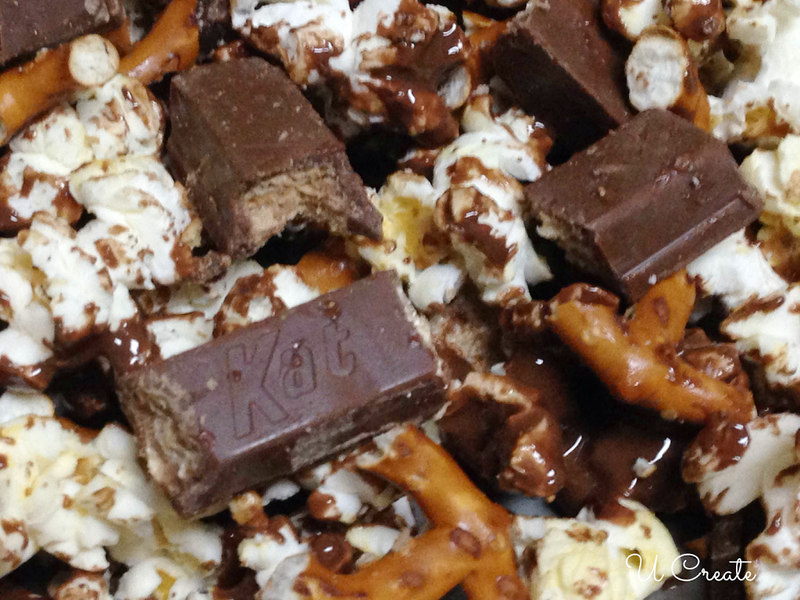 Pop your popcorn using your favorite method. I just used the super easy microwaveable kind – Lay out popcorn on a parchment or wax paper-lined cookie sheet. Melt the chocolate chips and oil. Stir. 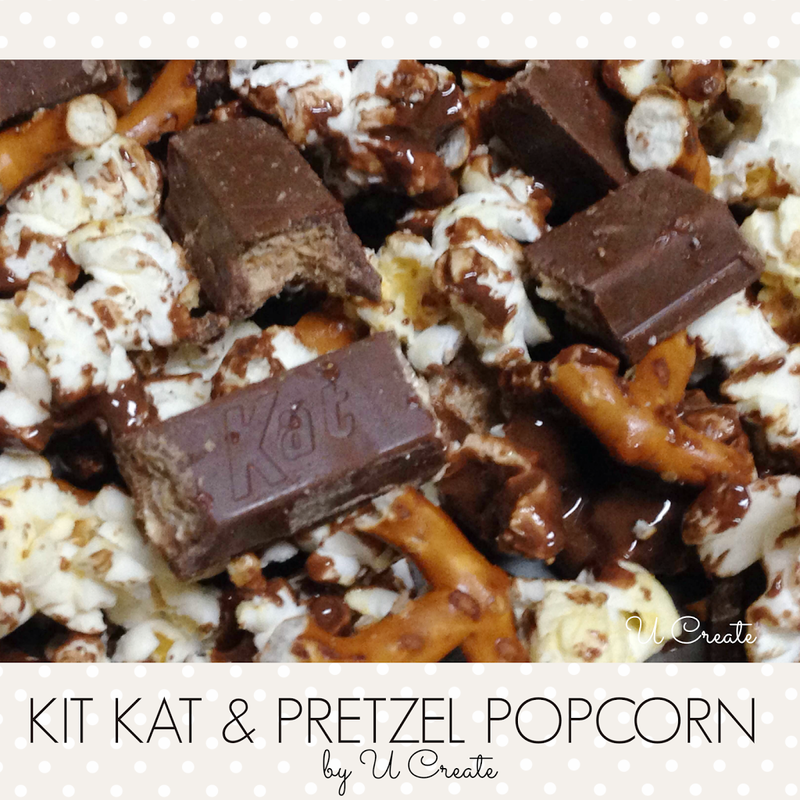 Pour chocolate on top of popcorn and sprinkle with Kit Kat pieces and chopped pretzels. Mix all together. Let cool for 30 minutes.